Grammar is one of those topics that renders even some of the most intrepid homeschoolers trembling with dread. While the eight basic parts of speech are easy to understand and teach, it is all of those odd sounding subcategories and special cases that we can barely remember which stupefy us. Besides, let’s be honest, most people find grammar to be mind-numbingly dull. I, on the other hand, happen to love grammar. This does not mean that my children felt the same. In fact, grammar seemed to be the last thing on Earth they wanted to study. As a consequence, I had to get crafty and find some great programs to enhance their understanding and use of the English language. Grammaropolis is a low-cost program which is appropriate for a wide range of age groups and learning styles. Although it includes fun videos and songs, the grammar content is thorough and well-presented. 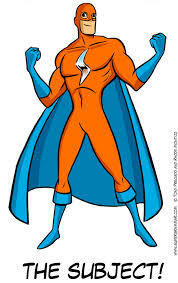 Each part of speech is depicted as a particular shape and color cartoon. This personification of the parts of speech makes it easier for small children to understand and identify with the role each performs within a sentence. It also is helpful to have a set color scheme which can be adopted if you give your child supplemental grammar exercises where s/he is asked to identify parts of speech in a text. Each unit in Grammaropolis begins with an instructional tutorial which details all aspects of the part of speech being covered. Videos, songs, books and quizzes illustrate and cement the instruction. If you are of a certain age (ahem) and remember the Schoolhouse Rock videos fondly, then you will understand the rationale behind this program. It is possible to view some of the videos online at YouTube; however, the program is simply not complete without the other materials. A one-time fee allows you to use the program indefinitely. I originally purchased this program for Sir Talks Alot, but am currently using it with Lady Chatterly. 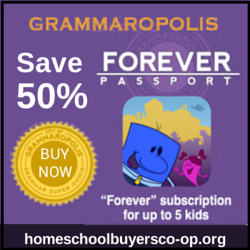 Although it is already quite affordable, you can buy it at a further discount through Homeschool Buyers Co-op. The MCT Language series features leveled readers/textbooks for elementary and middle school aged children. This unique series is a grammar program designed to be read through quickly. Interspersed between the instructional text are creative bits of writing -- brief poems or entertaining paragraphs. 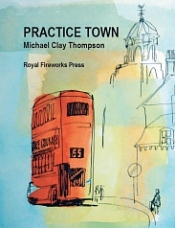 The grammar books work best when combined with the practice workbooks. The MCT grammar books teach not only the parts of speech, but also teach phrases, clauses and types of sentences. The accompanying practice books have students deconstruct sentences and identify the part of speech of each word in the sentence, its role in the sentence, whether or not there are phrases or clauses in the sentence, and the type of sentence. As a former English teacher, I am of the mind that people never truly learn grammar unless they use it. Sir's favorite part of this grammar program was the writing component. The books designed to teach grammar through writing do so by means of an engaging story. If you are familiar with the Life of Fred math books, the concept is quite similar. While the practice and grammar books are sufficient for learning grammar, it is the writing books which distinguish this series and make it worth purchasing. In fact, the grammar content can be a bit redundant from one level to the next, although it is my understanding that this is due to the fact that the author intended the books to be read through quickly and that the information is repetitive to enhance retention. 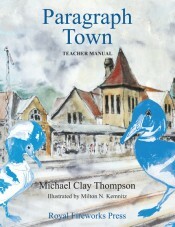 MCT also offers poetry, vocabulary and literature books. Of these we have only experimented with one poetry book, and it went over like a lead balloon. The teacher editions and the student editions are virtually identical. I purchased only the teacher editions for writing and grammar and both for the practice. This book is designed to captivate those children who love superheroes. 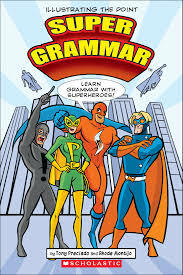 The basic premise is that the reader is in training to battle the villains of poor writing by becoming a member of the Super Grammar team. Each part of speech has super powers. For example, the pronoun has the power to be personal, reflexive or possessive. The bright, colorful graphics make the book visually appealing, and each section has its own page background color. 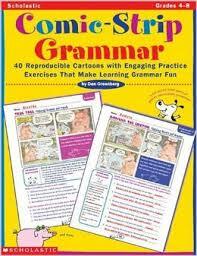 This book is a good introduction to grammar concepts, particularly for younger children; however, it could stand to have a complementary workbook in order for it to be a complete curriculum. The Scott Foresman Grammar and Writing Handbooks are a free downloadable resource for grades 1-6 which combines the introduction of grammar concepts with writing practice. The worksheets are an excellent supplement for any grammar and writing curriculum. Unfortunately, this resource is only available through cached links. I haven't tried all of the links, but grades 3 and 5 seem to be nonfunctional. Sometimes the best resource is one which combines instruction with practice. Often, this means using some kind of worksheet. The Daily Grammar Archive is an extensive site which covers the parts of speech, punctuation and mechanics of writing, and sentence construction. You can either display the exercises on your screen or purchase workbooks, ebooks or cd books via the links at the site. A similar resource is the Virtual Grammar Lab which offers a database of worksheets and activities that is searchable by the element of grammar you wish to study and the type of activity. The Grammar Bytes site is not nearly as comprehensive as the sites listed above; however, it provides access to fun, interactive lists, worksheet, activities and videos. The makers of the site also have a YouTube channel of the same name. One of the main limitations of grammar programs is that for any program to truly be effective, students must use the grammar that they learn. Authors Don and Jenny Killagon have created the sentence composing approach to grammar and writing which takes sentences from works of literature and uses them as teaching models. The couple have written books for elementary through college students based on this system of instruction. We have used the middle and high school levels of these books; however, since Sir Talks A Lot is now in high school, I no longer have the middle school books on hand. In the Grammar for High School book, an element of grammar say for example, a participial phrase is defined and explained. Next, examples from literature are used to illustrate the concept. Finally, the student is given exercises to practice the concept. The Paragraphs for High School book takes a different approach. Rather than the grammar being the front and center element, instead, the structural elements of writing are the main focus. For example, in a chapter about participles entitled "The Describer," while a definition of participles is given, the primary emphasis is on how using participles strengthens writing. As with the grammar book, sentences from literature are presented as models of strong writing, and exercises allow students to explore these models to strengthen their own writing. Just as students need to write in order to really understand grammar, it is also helpful for them to be able to identify errors, to understand how to correct these errors, and to be able to state the grammar or mechanics principle that defines the error. The Editor in Chief series produced by the Critical Thinking Company for grades 2-12 does precisely this. 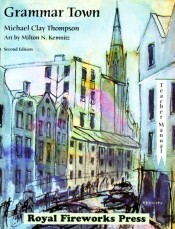 It is available in either print or online mediums. We have used the online versions of levels 1 and 2 for 4th through 8th grade. The student is told that s/he is an editor tasked with finding the errors in a number of passages. The errors have to be highlighted and corrected, and then the student must state the rationale for the correction. Students are able to ask for hints, but lose points for doing so. Our experience with the program was that it is sometimes buggy and glitchy, and often the explanations for the errors are difficult to find because of how they are categorized. Sir Talks A Lot found the program to be very frustrating at times, but he also learned a great deal. Purdue University has created an amazing site for older writers to hone their skills. While it is not a curriculum appropriate for young children, the Purdue OWL (Online Writing Lab) is a fantastic resource for parents who might need a refresher or for high school level students. In spite of the fact that the material is dry and a bit boring, the explanations are clear and to the point. We have primarily used the site for MLA citation and research information, but there is a good section on writing mechanics as well. An even better site if what you are seeking is grammar is the Internet Grammar of English site. Like Purdue's OWL, this site's intended audience is undergraduates; however, the Grammar includes interactive exercises to provide context for the instruction. Although the information at the English Grammar 101 site suggests that the program is for older students, Lady Chatterly was able to complete some of the interactive parts of speech exercises with ease. Conceived as a course, students learn concepts by practicing via quizzes. The site offers a free version with basic access to all of the course materials, but which has no record keeping capacity. Further resources are available with a subscription. Occasionally, I need a quick resource for Sir to look at in order to repair a writing error. Most grammar and writing programs provide some limited instruction in punctuation; however, many students remain unclear about the rules. The Basher books have long been favorites in our house, and the book on Punctuation is no exception. These books feature lively personifications of the subject matter in cartoon format. There is also, apparently, a book on grammar, but we have not used it. If this is more whimsy by far than you or your child are comfortable with, there are many sites which offer simple, online how-to's. The page below is taken from Loyola University's Writing Across the Curriculum site. The purpose of developing an understanding of grammar and punctuation is to enhance the quality and readability of the text we produce. There are a lot of writing programs on the market, and it is hard to know which ones are worth using. In all honesty, writing is one of those subjects that I teach primarily using materials that I find or make. Nonetheless, we have used a few programs and have had many more recommended to us. Touted as a grammar composition program, Essentials in Writing combines DVD lectures about the writing process and grammar with workbook assignments. There are 12 levels which correspond to 12 grades, and the complexity of the material presented goes up with each grade. We used the program for 8th grade writing; however, Sir Talks A Lot found the lectures boring and did not enjoy the assignments. That said, I still believe this to be a good program particularly for those teachers who feel uncertain about teaching writing. This program contains grammar review, but it is not the main focus of the instruction. I feel compelled to include it, nevertheless, because both Sir and I love this curriculum so much. The goal of the program is for the student to create a magazine based on a single theme but containing many different styles and genres of writing. Like EIW, Cover Story provides video based instruction, however, these lectures are creative and very engaging. The program uses a journal for daily writing in which a story about an alien who has been sent to Earth to observe its native is used as a motivator for students to learn how to wonder, question and explore concepts. In other words, students learn the process of brainstorming organically. This writing is combined with a workbook in which students are given writing exercises, drills and assignments. We have received many recommendations from others over the years about the writing programs that they enjoy. I will list a few below, but since we have not used these ourselves, I am unable to comment upon them. Click on the resource for more information.